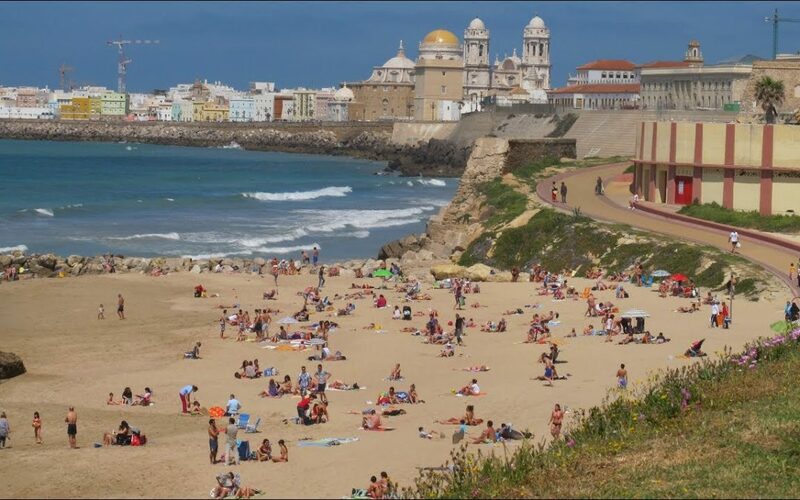 La Playa de la Victoria is the most visited beach by the tourist and the Cadiz citizens of the city. The length of the beach is almost 3 km long with 50 meters width of sand. This beach is situated in the newer part of the Cadiz City. The swells are average so you can enjoy the time without any problems and there are no rocks on the beach so anyone can have fun of bathing with friend and family. An avenue makes the beach separate from the city. You can also spend your time at Tarifa which is located at the southern end of Costa de la Luz. You can also have fun of windsurfing and kite surfing. If you are preparing to go there in summer then you can also visit the “Barbate.” It is the most visited spot by the local tourist in the summer months. Another famous beach of Cadiz City is “La Playa de la Victoria.” This beach is also considered as the best place to have fun with family. You can enjoy its steady waves and smooth sands. There are also several options such as jet skiing in Victoria. People mostly like to come with their family and friend at the beach and have fun under the sun and sometimes go to casinos for betting. People take rented beach umbrellas and chairs to be comfortable on the beach. These things can easily found on the interesting shops across the avenue. If you feel hungry then you enjoy the different types of food at the restaurants situated on the beach side that also offers sea foods.in the previous years, there were many damages on the beach due to the water erosion but the city officials has managed it very well and regenerate the sand and solved the temporary problems of the beaches.